Excellent location in Chora near cafe. Owner kindly picked us up and also took us back to Skopelitis boat. Beautiful village, nice local people. Quiet and on the farther less hectic part of the Chora. Our hosts were great when we screwed up the day we were supposed to leave. They were super gracious. 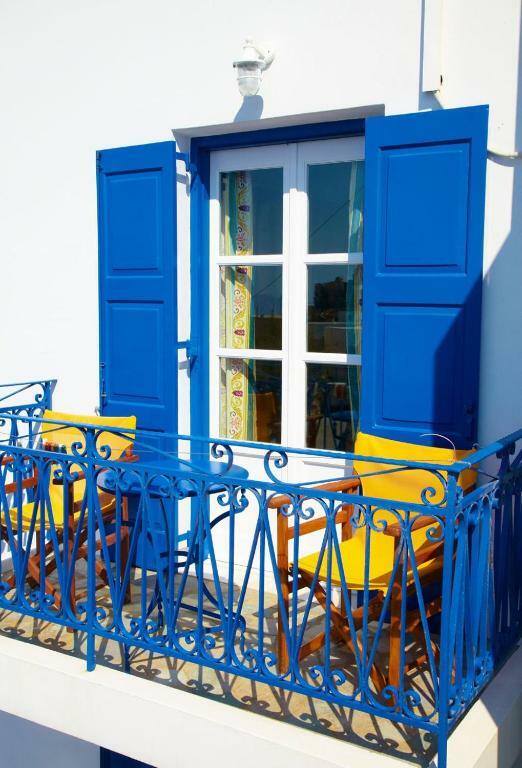 Located in Chora. Excellent location. Very unique village. Hosts were very accommodating. Picked up and dropped off at the port. Great value. 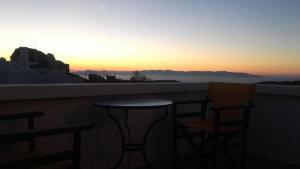 Top floor had sunset view with a nice patio. Underbart hjälpsamt och trevligt värdpar. Väldigt bra städning. Det enda vi saknade var en vass kniv att skära bröd, grönsaker och frukt med. Estudio muy céntrico, acogedor y tranquilo. Nikitas y su señora fueron muy amables conmigo, me recogieron en el puerto y me acompañaron muy temprano. Notre hôte, très accueillant, est venu nous chercher en pleine nuit au bateau et nous a reconduit en fin de séjour. Il a facilité notre séjour (carte de randonnée, véhicule de location). Le studio est spacieux avec son coin cuisine et son grand balcon, il est proche du départ de randonnées fabuleuses et situé dans un village authentique! Das Appartement liegt direkt am charmanten, verwinkelten Teil von Chora, dessen kleine Gassen nur fussläufig zu entdecken sind. Zur Kirche und auch zu den alten Windmühlen mit herrlichem Weitblick über die Bucht, gemütlichen Tavernen sind es kaum 5 Minuten. Zum Kloster und Strand sind es ca. 30 Min. Unser sehr sauberes, traditionell charmantes Zimmer mit Balkon und Blick auf das Meer und die Kirche war mit allem ausgestattet. Die Gastgeber sind freundlich und haben uns zum Hafen gebracht und abgeholt. Es kann im Oktober sehr windig sein. Empfehlung! Lock in a great price for Panorama – rated 8.9 by recent guests! Panorama This rating is a reflection of how the property compares to the industry standard when it comes to price, facilities and services available. It's based on a self-evaluation by the property. Use this rating to help choose your stay! 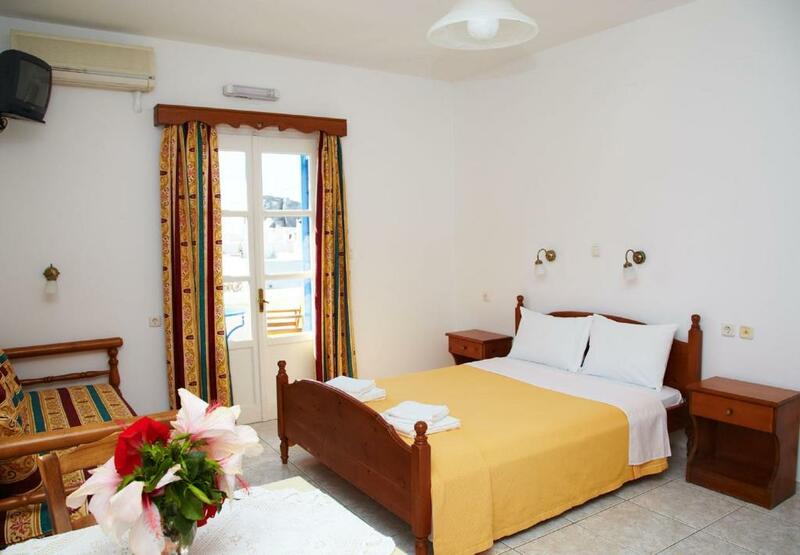 Located in scenic Amorgos town, the Cycladic-style Panorama offers self-catered accommodations with free WiFi and balcony overlooking the Castle and the town. Taverns, bars and shops are within a 2-minute walk. A kitchenette with cooking facilities, coffee machine and fridge is included in all units at the Panorama. Each has a TV and a private bathroom with hairdryer and shower. Some accommodations types have a separate bedroom and living area. 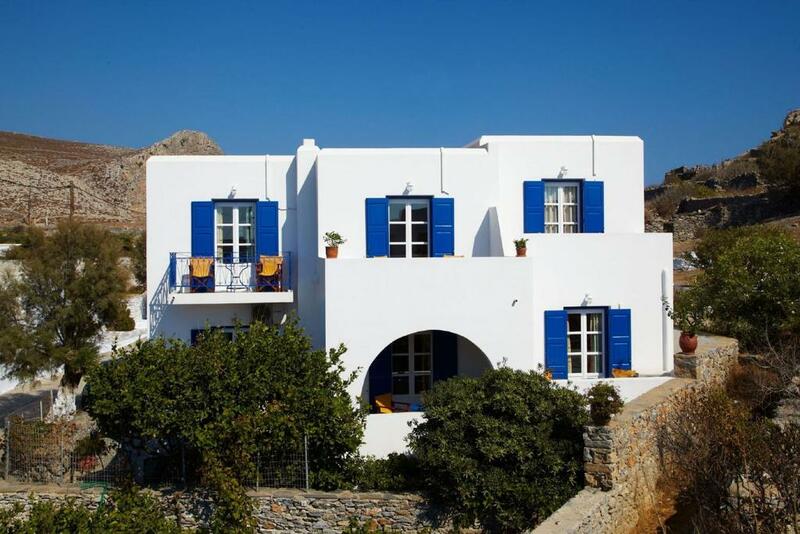 Agia Anna Beach is within 1.9 mi. Katapola Port is at 3.1 mi. The famous monastery of Panagia Chozoviotissa is at 1.2 mi, while Mouros Beach is 7.5 mi away. Offers free Wi-Fi and balcony overlooking the castle and Amorgos Town or the sea in the horizon. 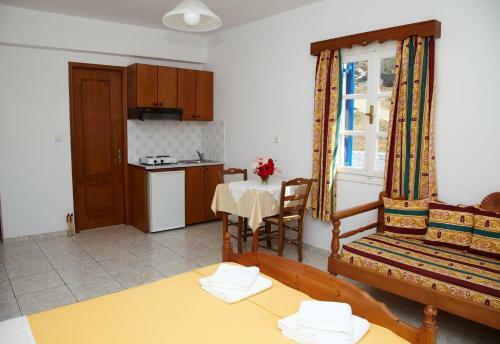 A kitchenette with cooking facilities, coffee machine and fridge is included. Featuring a separate living area and bedroom this ground-floor apartment offers free Wi-Fi and views over the garden and Amorgos Town. A kitchenette with cooking facilities, coffee machine and fridge is included. It opens out to a corner courtyard. 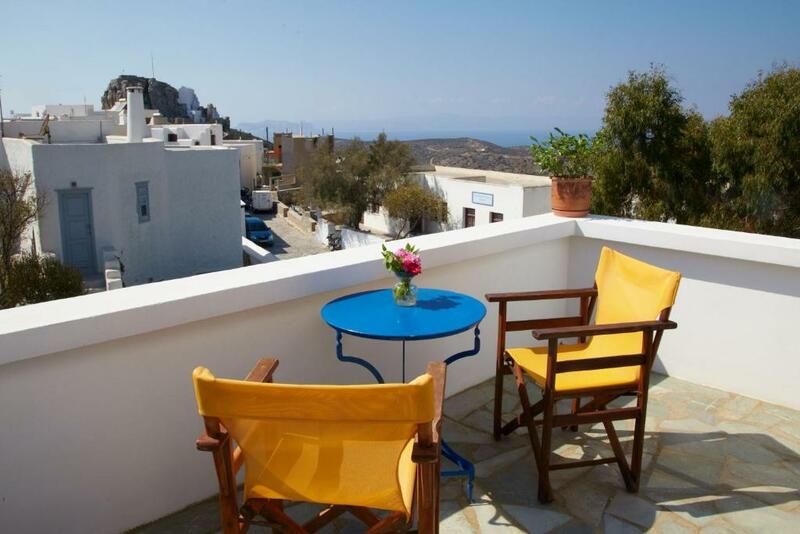 Featuring views over Amorgos Town with its castle, this air-conditioned studio opens to a balcony. It offers a TV and a kitchenette with cooking hobs and mini fridge. Free Wi-Fi is provided. 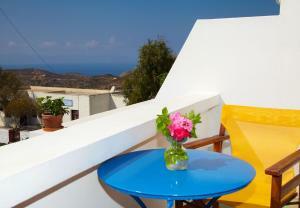 Some also offer views of the Aegean Sea. House Rules Panorama takes special requests – add in the next step! 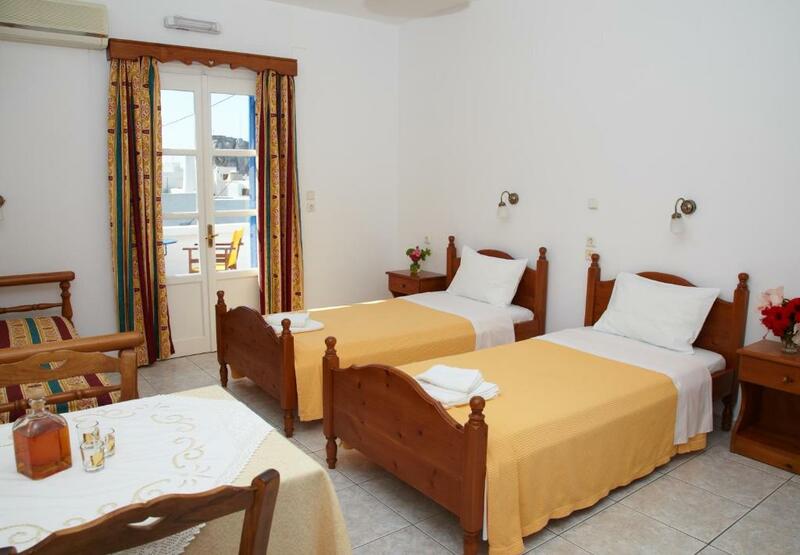 Any additional children or adults are charged EUR 15 per night for extra beds. Panorama accepts these cards and reserves the right to temporarily hold an amount prior to arrival. Be aware if you have no car that you are located in Chora 5km up a switch back mountain... 8-10 Euros each way by cab if you need to go to see Katapola or get shipping tickets. Bathroom a little small. Initially the bed was very hard and uncomfortable. We were moved and had a much nicer bed.